Continuing our adventure from eating at Cocina Peruvia, just nearby was an ice cream shop that some of you may be familiar with – Sebastian’s Ice Cream. 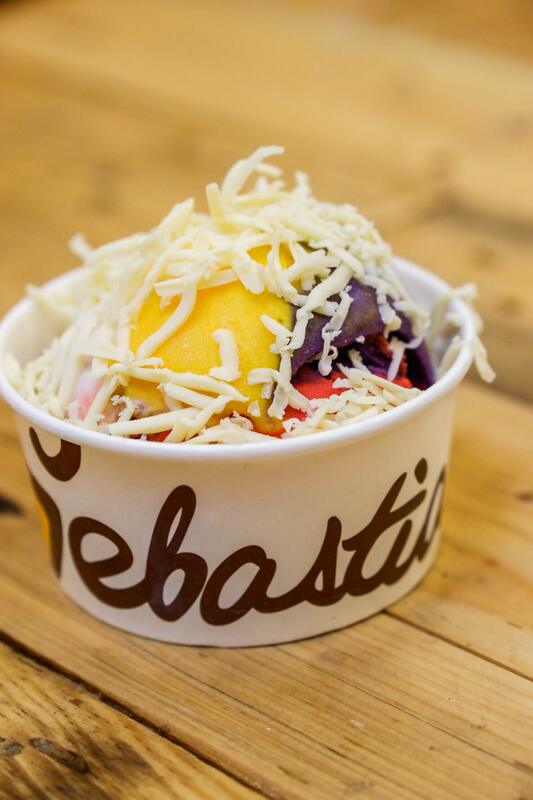 For those who do not know, Sebastian’s Ice Cream has been in the business since its establishment in SM Mall of Asia. Their flavors are always experimental and you can always expect a new one each week. A popular addition was the “Once in a Blue Moon” flavor that was blue cheese mixed in ice cream, topped with walnuts and honey. Don’t let the name of the business fool you, as they offer more than just ice cream. Other creations from the shop is the Taho Milkshake, which uses unflavored but sweet ice cream combined with the normal ingredients you expect in taho. 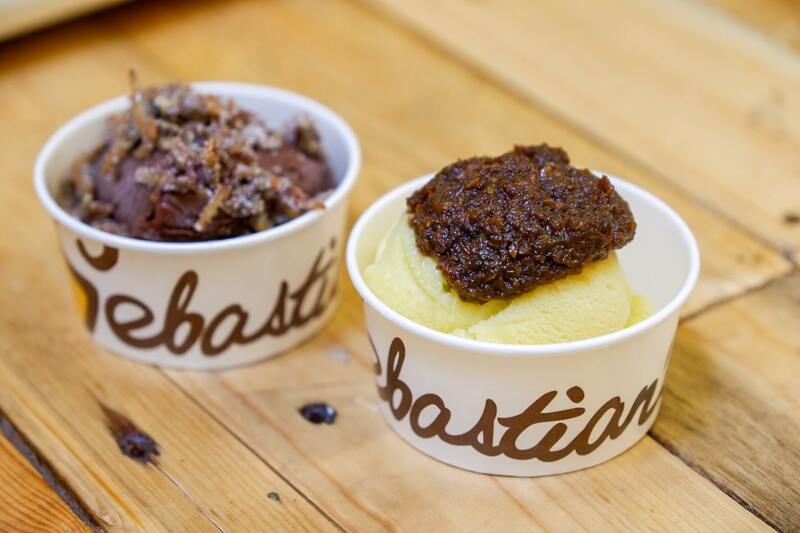 Now that they are branching out to other stores in Quezon City and Pasig City, I happen to leave near the latter, and what perfect timing to try out one (or all) of their Valentine’s treat dubbed “Sebastian’s 2019 Valentine Collection”. Last year, they offered similar sounding ice cream but in another flavor variant, so I was excited to know what they have in store this year. 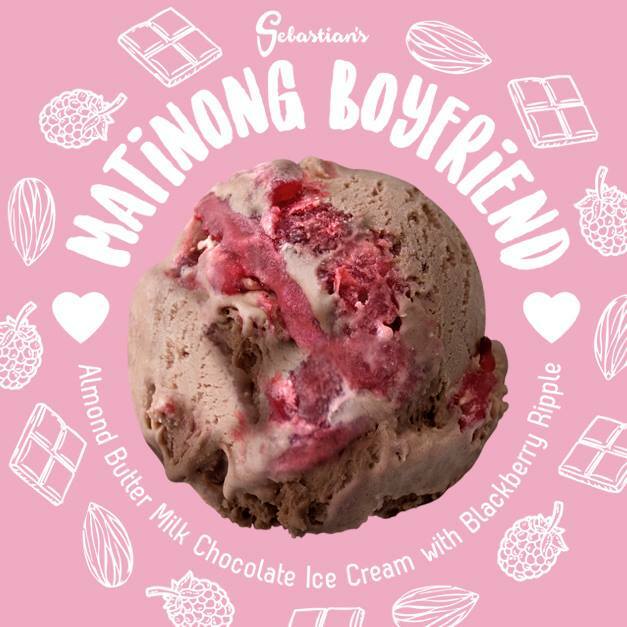 A mixture of almond, butter, milk, chocolate, with blackberry ripples, matinong boyfriend basically combines chocolate and berry into one scoop of ice cream. While others may disagree and describe matinong boyfriend’s flavor as ordinary compared to the other offerings, I could say that I love it and might be my favorite of the bunch. 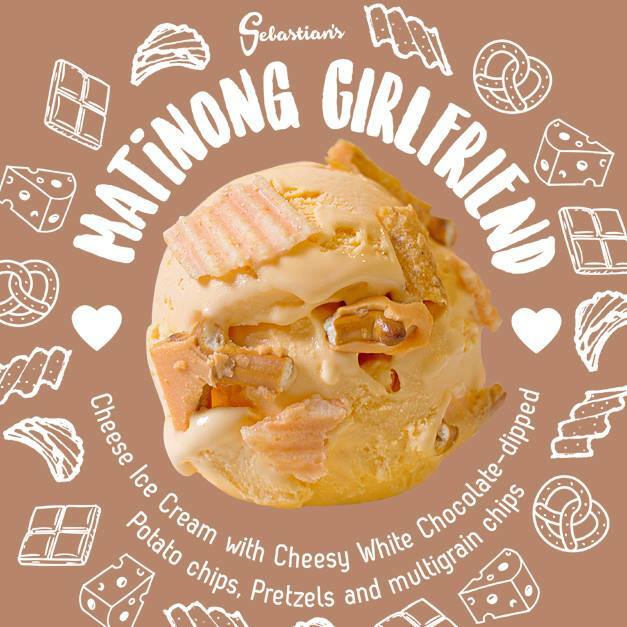 Matinong girlfriend is composed of cheese with cheesy white chocolate-dipped potato chips, pretzels, and multigrain chips. 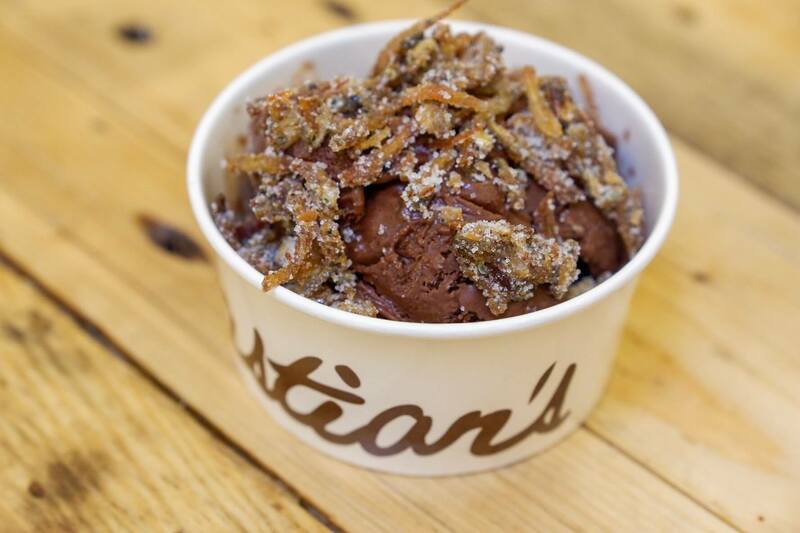 This is what you get when you combine chips and dips to ice cream. As expected as putting snacks high in sodium in ice cream, matinong girlfriend was cheesy but a bit salty. Nonetheless, it gave the proper kick to enhance the flavors. 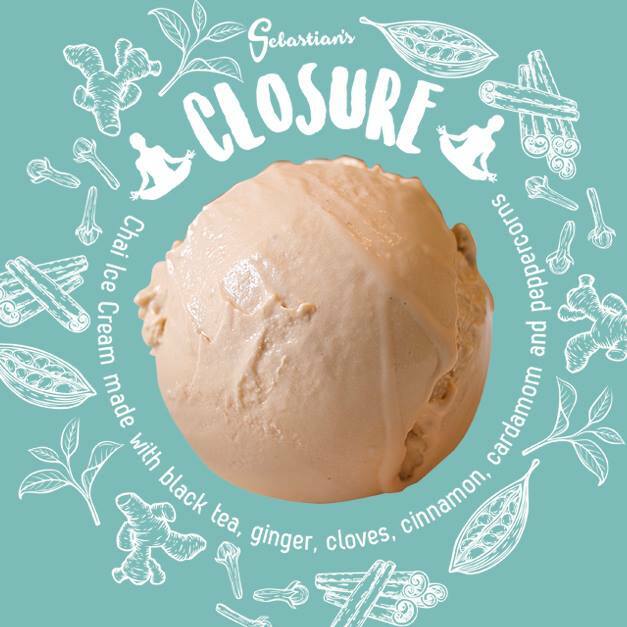 Described as a solution to the spiritual turbulence that may be in your life, closure is Chai ice cream mixed with black tea, infused with cardamom (a spice), cinnamon sticks, ginger, black peppercorns, and cloves. It is said that while its texture is chunky, the ice cream will smoothly glide in your palate and calm your spirit. In my experience, the Chai and Cardamom gave me a throwback to my multiple trips to India last year. Maybe it’s because of the many spices incorporated, but I felt it had an Indian touch to it. What’s more, you get a kick out of the spice at the end (an aftertaste), however, if you are a fan of Chai tea then you would probably love this flavor. 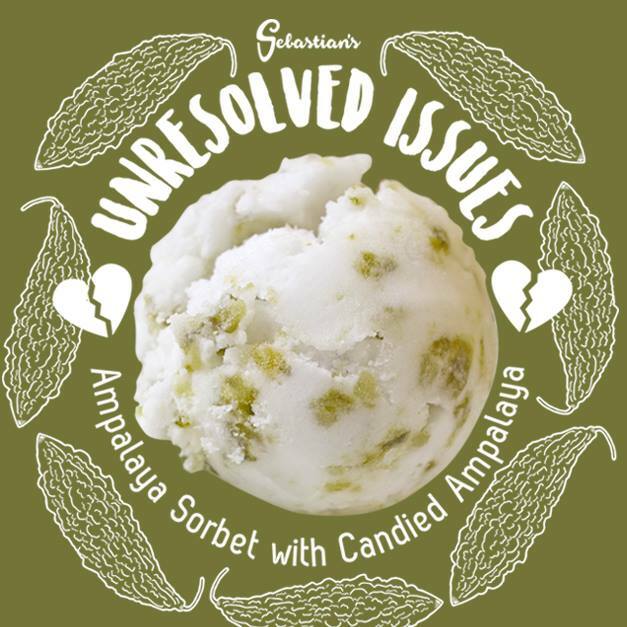 Recommended by Sebastian’s Ice Cream for those who are bitter and not moving forward from all the negativity. I will tell you that I am not a fan of ampalaya, but for the sake of curiosity, I gave it a chance. I didn’t like it at all, but then I guess that might be why it’s called unresolved issues. My friends, on the other hand, said it tasted good but maybe they were focusing in the healthy aspect of it. Aside from the main four being showcased, we also tried Leche Flan. This was the winner for me and my friends. I didn’t expect to like the combination but gave it a go because of curiosity. We couldn’t stop eating it, and it might be the go-to order in our next visit. Champorado with dilis – The chocolate flavor complemented the salty nature of the anchovy. We all know salt brings out the best in chocolate. Mango with bagoong – I have never tasted a sour ice cream so this was a new experience for me, and it was interesting to do so. Give it a try to know what I mean. Sapin – This is a combination of blended sticky rice with ice cream. It comes in four flavors: gata, kutchinta, ube, and langka. 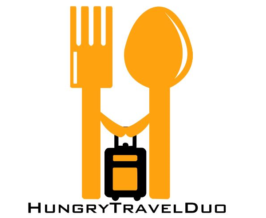 If you’re feeling adventurous I suggest trying out a locally-focused flavor. Ice cream can definitely bring out the best in all of us. Trying out all the different flavors made me realize how fun, weird, and amazing it is to step out of your comfort zone. For Tina and I who are big fans of icecream, this is definitely one of those that will challenge our taste buds in a good way.